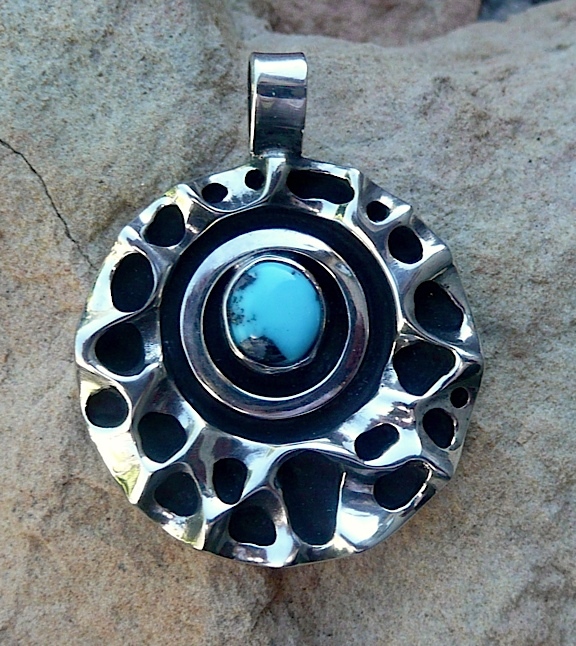 Turquoise and silver is a popular combination – especially in the southwest. The natural beauty and versatility of turquoise are reasons for its timeless popularity. I can see this pendant being worn with a pale breezy sundress, a black turtleneck sweater, or a v-neck blouse.